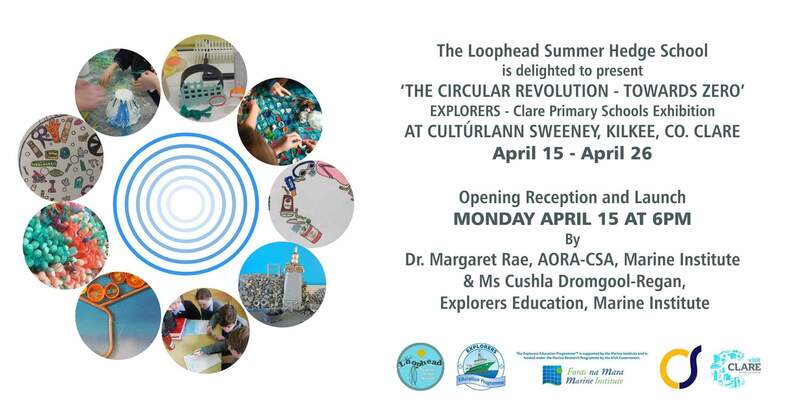 A new art exhibition ‘The Circular Revolution – Towards Zero’ involving 12 primary schools across Clare has been designed and curated by Carmel Madigan, a professional artist and founder of the Loop Head Summer Hedge School. Madigan inspired by Picasso, who was one of the first modern day artists to make artworks using recycled materials, has collected exceptional materials such as plastics from the seashore which been used in the classroom to create magnificent pieces of artwork by the students. “The problem with plastics is that they are seen as trash and are usually discarded after a single use. Collecting marine plastics from the seashore takes time and effort and leads to a cleaning and segregation process. 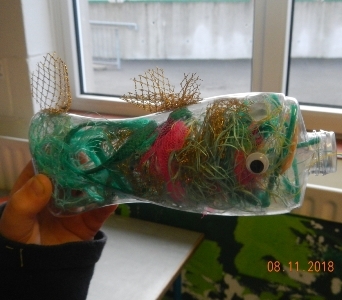 By seeing marine plastics not as trash but as raw material, new and creative channels are opened up,” Ms Madigan said. 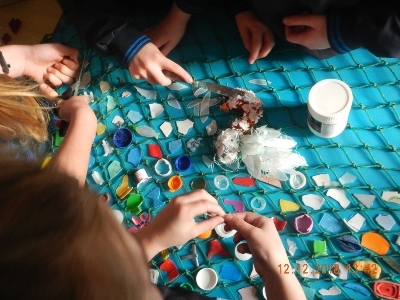 As part of the Explorers Programme, Madigan has worked with students to find solutions in relation to reducing, reusing and recycling plastics in their school and community. “After learning about the need to reuse materials, and make the most of earth’s resources many students have said they are now more willing to choose treats with plastic-free packaging and use a Toy Library instead of purchasing non-recyclable plastic toys,” Ms Madigan said. The exhibition will be launched by Dr Margaret Rae, Director Atlantic Ocean Research Alliance (AORA) and Ms Cushla Dromgool-Regan, Communications at the Marine Institute on Monday 15th April.